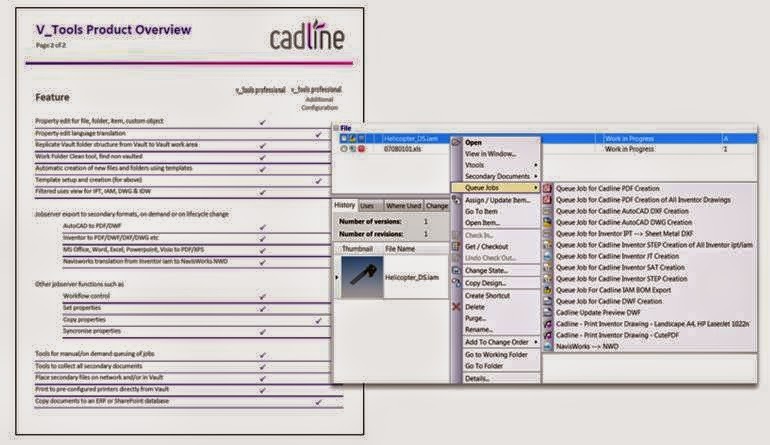 Cadline are pleased to announce the new VTools extension for both Autodesk Vault Workgroup and Autodesk Vault Professional. 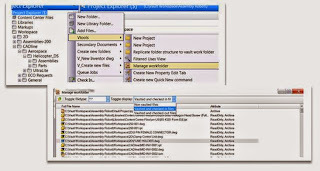 VTools provides a wealth of extra tools to automate many tasks associated data management workflows. Whether your discipline is Manufacturing or BIM/AEC, VTools is specifically designed to greatly increase productivity. Tools for the creation and management of secondary documentation (Pdf, Dwg … etc.) either on demand or triggered by a lifecycle release are included as standard, plus a wide variety exportable `goodies’ such as assembly BOM extraction form Inventor iams and 3rd-party 3D formats such as SAT and STEP. Secondary files can be automatically stored in Vault and/or exported to a nominated external folder. Extra tabs are included to provide `filtered views’ of associated design data (e.g. all design related 2D drawings), Data Cards, and Secondary Documents. There are a number of really useful operator tools, such as the Manage Work-folder tool to help keep a check on `what’s-in and `what’s-out’ regarding the user’s workspace. Interested?…, there’s loads more! 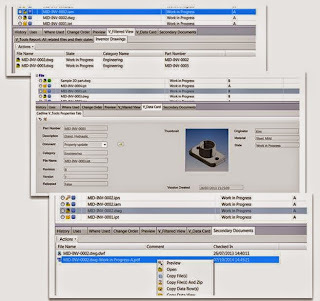 … you can manage the creation of project-related folders structures … files creation via Vault using design templates for Autodesk CAD applications …. to name but a few! !